FROM R600 PER PERSON p.p. Conveniently situated 8km’s from OR Tambo International Airport makes Nkanga Lodge the ideal destination for business traveller and tourist alike. This family run 4 star guest lodge is set on 11 acres of beautiful landscaped gardens offering affordable luxury with an emphasis on friendly yet professional service. Centrally situated to all major shopping, business and entertainment amenities – Johannesburg, Sandton and Pretoria are all approximately a 30min drive away. The nearest Gautrain station with a 12min direct link to Sandton is a mere 8km’s from the lodge. Other amenities close by are Emperors Palace Casino, Monte Casino, 5 * restaurants, nightclubs, cinema’s, theatres, sports facilities, gym’s, day spa’s and beauty salons, driving ranges, golf courses, historical sites, wildlife and bird sanctuaries. We will happily arrange tours and excursions to places of interest. 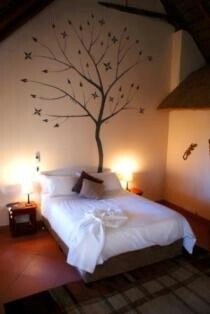 Nkanga Lodge is the perfect escape from the hustle and bustle of Johannesburg. 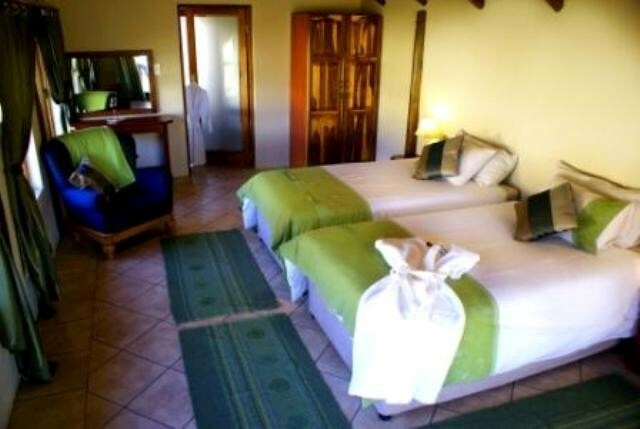 Our Accommodation and Facilities: All of our 17 rooms are either double or twin ensuite, tastefully decorated and each with private entrances for our guests’ convenience. Our 4 luxury free standing ‘safari style’ rooms have in addition to en-suite bathrooms, outdoor showers for our warm African summers. We are able to cater for families travelling with young children in one of four spacious rooms adding cots, single or bunk beds. For your comfort all rooms have air conditioning and heating, satellite TV’S and hospitality trays to give you that ‘at home’ feeling. The safety and security of our guests is of prime importance to us at the Lodge – we take every precaution necessary to make you feel safe and at ease during you stay with us. Delicious full and continental breakfasts are served daily from our dining area or on warm summer’s days from our veranda overlooking our gardens. Home cooked dinners are prepared daily by our Chef Gugu. Once your business day is complete you can relax on the veranda taking in the peace and tranquillity of your surroundings or take a leisurely stroll around our dam. For the avid bird watcher there are a large variety of birds that inhabit the property, the dam on the property is well stocked for catch and release fishing. Our reading lounge with a wide selection of books has something for everyone’s tastes. If you welcome a friendly game of pool or just fancy a relaxing sun downer join us at our bar. There’s something for everyone – a visit to Nkanga Lodge will leave you feeling as if you never left home. 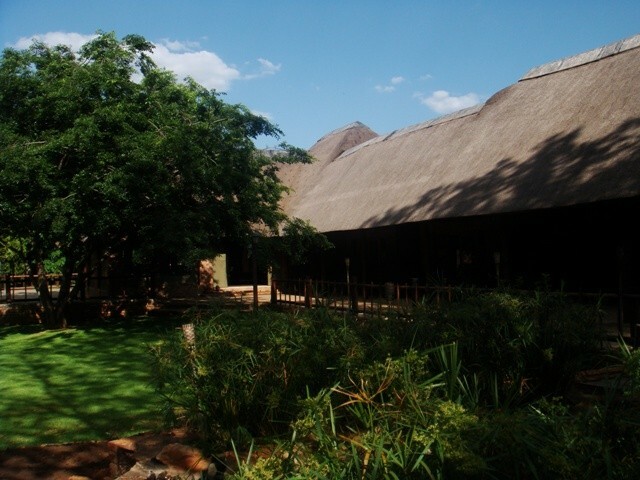 Description: Standard Lodge Rooms all with private entrances. Can cater either for twin or double, all ensuite, with showers some with bath and showers. 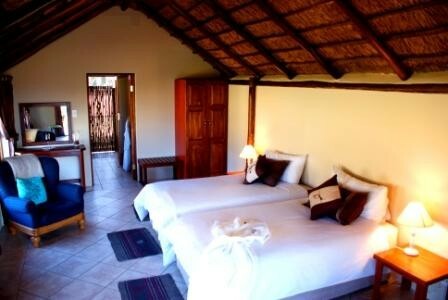 Description: Free standing luxury unit in a safari style, all have private entrances and patios over looking the garden. 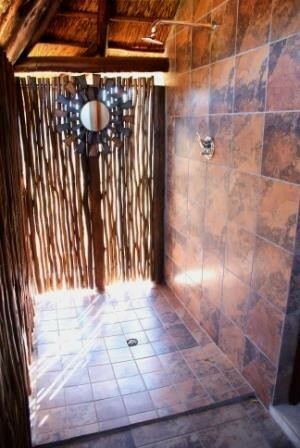 All ensuite with bath and showers, also have outdoor showers. "We had a most delightful stay, were treating like VIPs. The staff is very professional and friendly. The rooms were spacious, clean and stylishly decorated. We enjoyed the garden very much with all the bird life and Koi. We will not hesitate to recommend this establishment to all persons who enjoy..."
"We had a most delightful stay, were treating like VIPs. The staff is very professional and friendly. The rooms were spacious, clean and stylishly decorated. We enjoyed the garden very much with all the bird life and Koi. We will not hesitate to recommend this establishment to all persons who enjoy a peaceful place in the middle of the hustle and bustle of the area." 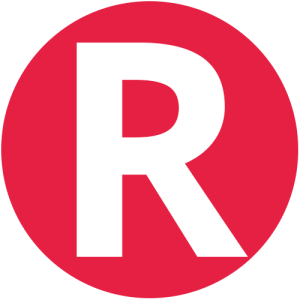 R 24. Take the R 21 to Pretoria. Take the Pomona Road off ramp and turn right at the robots. Proceed over the highway and carry on straight along the Pomona Road until you reach the traffic lights. There is a small dam on the right hand side. Go over the road into 3rd road and take the first left into Fourth Road, between the Engen Garage and the shops. 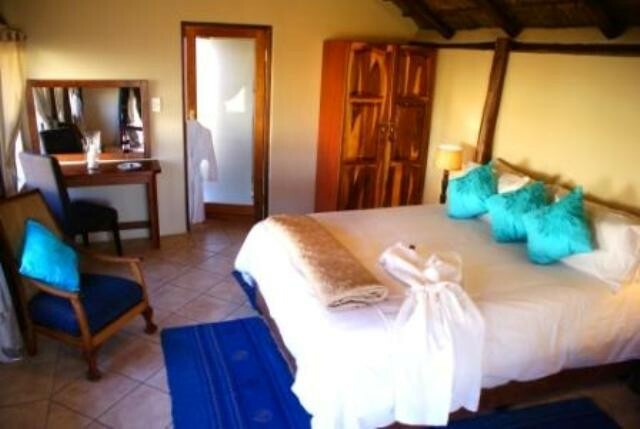 Contact Nkanga Lodge Executive Guest Lodge directly. Send them an email.